The computer is an Acer Aspire e500, with no warranty. 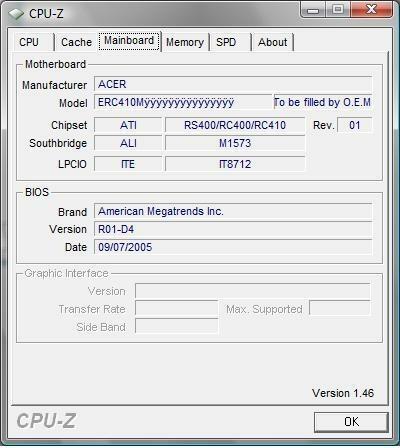 I've attached pics from cpu-z if that helps. Well, you must search a processor that is supported by the MOTHERBOARD. Most of those presscot CPU's motherboards cant use Core 2. 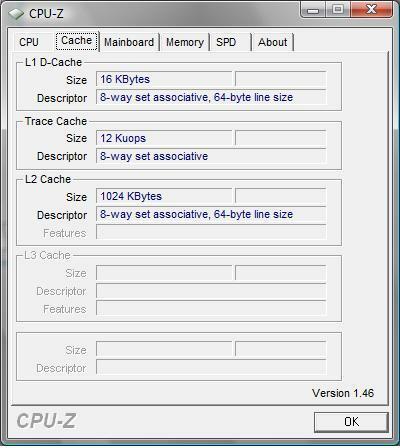 1) If its in the BIOS, enable HT (Hyper-Treading). 2) Or if you motherboard supports HT and the CPU not, get an HT CPU (the prescott series supports HT). So you should get an high-end P4 (S775) (like 3.4ghz) with a good cooler (low-noise but cool). I think that's the best you can do now. If you need to get one, then problary getting a used one on ebay would be most suitable. But ebay still sells for atleast $50 US for a decent speed P4 and for a new one, it's still expensive (over $250 US). I'll like to point out to you that an upgrade to 3.4 or 3.6 GHz only improves the speed by a bit. 3.8 is the fastest avaliable and still sold at $800 US and it is slower than the $300 Core 2s. The cooler you get must support that speed and will be expensice as well. I don't recommand that you upgrade but instead replace your motherboard with a Core 2 Duo. A 2.13 GHz Core 2 would be able to run programs better than your current P4 with the avantage of not heating up like theres no tommorow. Bottom line: Intel's design of P4s have major flaws and they overlooked the heat problem. Don't get a new one, it's not worth it. You'd probably do well to replace the motherboard anyway, Acer make some terrible PCs with very cheap parts so it will probably die at some point - boards can be had very cheap anyway so shouldn't add much to the cost of the upgrade - any C2D over 2 GHz is a good choice. Simply putting the fastest CPU in your machine isn't going to make your machine run like a newer one. Like mentioned above, the chipset doesn't support Core 2... probably not Core either. 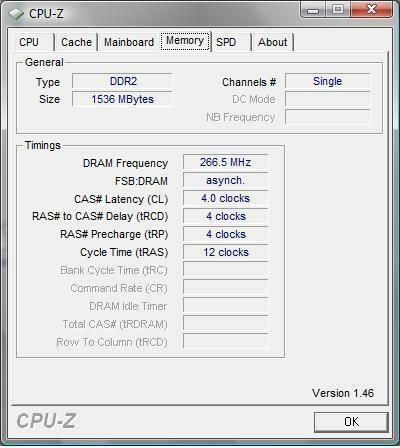 You're RAM is only running at 266MHz, and you only have 1.5GB. You'd probably be better off buying a new motherboard, CPU, and RAM if you can afford it. Well then I'll just wait till it needs to be replaced because the p4 2.93/1.5GB DDR2 combination does everyone fine... its just, as stated in the first post, that the processor is loud and gets hot. I just read I could put a Pentium D in it. ALL and i repeat ALL P4 and Pentium Ds gets hot and loud. A better cooler will lower the heat and noise. 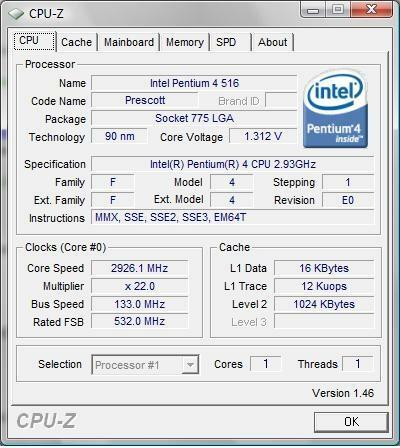 P4 above 2.53GHz are really hot, but overall P4 and it's sister Pentium D were design by non professionals. If you really don't like the heat and noise, replace the fan by a water cooling system. It really does the job well. Or alternatively you could take the money from what you would have put into a cooling system and buy a cheap E2000 series Pentium Dual-Core and motherboard for say $200 and be rid of the entire problem. The computer cost $200 used. If it's only the temparature and the sound of the PC you're worried about, get a simple but effective CPU-cooler for little money. I don't know where to buy such hardware in the US (I live in Switzerland), but I'm sure there are lots of online hardware stores. Do some reading about what cooler is a good one (I myself am using a Zalman CNPS 7000-Cu and am very happy about an almost silent and cool PC). Probably there are much better than my good old Zalman. I keep my Pentium 4 (3GHz, Socket 478) perfectly below 40 - 50°C at full load with only a silent and definitely not annoying whirr. I thought that Pentium 4 processors have been phased out now, considering they have been around since November 2000 with different models over the years, so if it were me, I would scrap the motherboard and get one that supports a good Core 2 Duo CPU. I thought that Acer do good quality PCs? Well, given the computer hardware prices these days, upgrading/investing on an already obsolete system is not a good move. I would suggest at this time period to wait for a while, until nehalem cpus, mobos and triple channel memories become available in the market. This will bring existing hardware prices futher down. Then go buy a good core 2 duo (quad or dual) system, with 4 gigs of ddr2 and whatever you like for a very low price. I ll give you my experience: I recently upgraded a celeron 336 office-pc to a P4 651 3,4 ghz, with HT. Bought from ebay for 60$. The pc runs xp and is used for office applications. The truth is you hardly notice a difference since upgrading, and the cpu's were supposed to be sth like day and night! Maybe a Pentium D would make a lil more noticeable difference, or maybe i could tell the difference if i had to deal with big pictures etc. If you would ask me now I would rather have waited and changed mobo+cpu later. So, for the moment you clean your cooler-heatsink, tidy up cables to improve heat dissipation and reduce noise and keep yr money for later!